← Using SCUBA to photograph abalone divers? 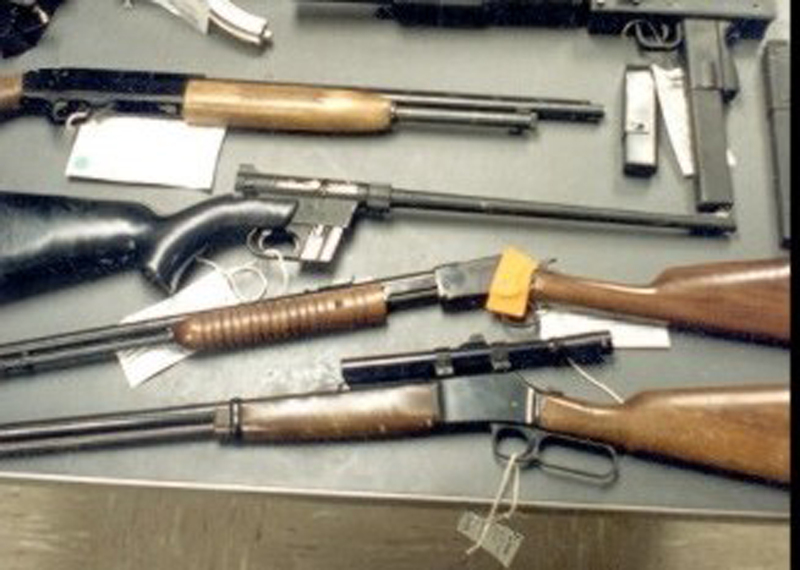 Do long guns have to be transported in locked gun cases? Nonconcealable firearms (rifles and shotguns) are not generally covered within the provisions of California PC, section 12025 and therefore are not required to be transported in a locked container. However, as with any firearm, nonconcealable firearms must be unloaded while they are being transported. Long guns that are classified as assault weapons have more stringent transportation requirements. A handgun is any pistol, revolver or other firearm capable of being concealed upon the person that has a barrel length of less than 16 inches. The term also applies to any device that has a barrel length of 16 inches or more which is designed to be interchanged with a barrel less than 16 inches. (PC, section 12001(a)). A shotgun or rifle must have an overall length of at least 26 inches and a minimum barrel length of 18 inches for a shotgun or 16 inches for a rifle. If not, it is prohibited under Penal Code sections 12020(c)(1) and 12020(c)(2), respectively. Basically, if a firearm is manufactured as a pistol it must be transported and stored as one. If the barrel on a pistol is less than 16 inches on a pistol (like a Thompson-Center Contender) it is considered to be concealable and must be transported in a locked container. We suggest you contact the DOJ Firearms Bureau for clarification at (916) 263-4887 or ag.ca.gov/firearms/contact.php. Can sport-shot duck be used for crab bait? Answer: Yes. There is no law preventing the use of legally taken game, and duck is fine. However, you may be asked to provide proof the bird was legally taken by a person with a proper license and the appropriate stamps. If you intend to use fresh pheasant taken from game farms after the legal season, you will need to provide proof the bird was taken on a licensed pheasant club property. Why the limit on splittail? Answer: Sacramento splittail is a native minnow once listed as a threatened species under the Federal Endangered Species Act. According to DFG Supervising Fisheries Biologist Marty Gingras, the original listing was due to extensive habitat loss and fluctuations in abundance. Though the species is no longer listed, the decision to delist was controversial and under regional examination. Splittail are the object of a sport fishery primarily focused on the spawning grounds during spawning season. The species is also used as bait. The present sport fishing regulation (CCR Title 14, section 5.70) will add protections for splittail that are consistent with concerns about the species. Question: I often see people on the piers catching stingrays and then cutting off their tails before removing the hook and throwing them back in the water. Is this legal? Answer: No! This practice is both cruel and illegal under CCR Title 14, section 1.87, which states “it is unlawful to cause or permit any deterioration or waste of any fish taken in the waters of this state.” These animals require their tails and stingers for survival and defense against predators. This entry was posted in Bag Limits/ Possession, Bait, Catch & Release, Firearms/Ammunition, Info and tagged ammunition, baiting, crustaceans, ESA, firearms, freshwater fishing, ocean fishing, regulations, threatened status, waterfowl. Bookmark the permalink. I wouldn’t risk it, if I were transporting my guns I would lock them up in some nice sturdy gun cases. It seems like a good idea, that way you don’t have the risk of someone tampering with it while you aren’t there.